Welcome to Cool Care Corporation, Manufacturer & Supplier of AC and Refrigerator Spare Parts. The company was incorporated in 2001, at Nagpur. We Serve to Commercial & Household areas. Transparent business policies, competitive prices and efficient services are the plus points of our organization. We offer a diverse range of Air Flow Controllers, Clamp Meters & Condenser Coils. Our Axial Fans, Spare Parts & Drier Filters are superior in performance. 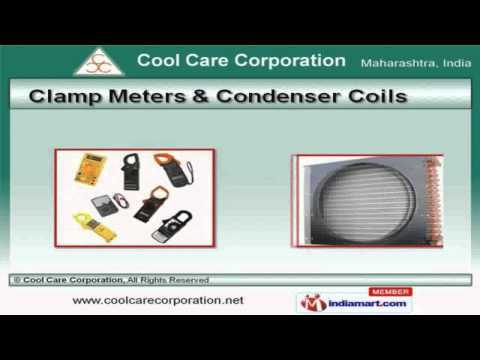 Clamp Meters & Condenser Coils offered by us are well known for their functionality. We also provide Expansion Valves, Pipes & Fittings that are highly durable. Refrigerant Gases, Tools & Compressors are widely acclaimed in the market. Our Air Flow Controllers & Plate Type Heat Exchangers are cost effective.